Ph.D. in engineering sciences from the University of California, San Diego in 1971. President and Chief Executive Officer of (N.A.C.M.E. He serves on the board of directors at IBM, Northrop Grumman and Solutia, Inc.
Dr. Slaughter had an accomplished career as an electrical engineer/computer scientist. He is best known for his work on the development of computer algorithms for system optimization and discrete signal processing, with emphasis on application to ocean and environmental system problems. Slaughter joined the U.S. Navy Electronics Laboratory in San Diego in 1960. In 1975, he became Director of the Applied Physics Laboratory of the University of Washington. In 1977, he was appointed Assistant Director for Astronomics, Atmospherics, Earth and Ocean Sciences at the National Science Foundation. From 1979 to1980, he was Provost and Academic Vice President at Washingotn State University. From 1980 to 1982 he was the director of the National Science Foundation in Washington D.C. He was elected to membership in the National Academy of Engineering in 1982. He served as Chancellor of the University of Maryland, College Park, from 1982 to 1988 (where he made major advances in e recruitment and retention of African-American students and faculty). Dr. Slaughter was President of Occidental College in Los Angeles from 1988 through July 1999, when he was named President Emeritus. In August 1999, he assumed the position of Melbo Professor of Leadership in Education at the University of Southern California. In June 2000, Dr. Slaughter was named President and CEO of The National Action Council for Minorities in Engineering, Inc. He is a member of the National Academy of Engineering, a fellow of the American Academy of Arts and Sciences, and serves as a director of Solutia, Inc. and IBM. Dr. Slaughter holds honorary degrees from more than 20 institutions. Winner of the Martin Luther King Jr. National Award in 1997 and UCLA's Medal of Excellence in 1989, Dr. Slaughter was also honored with the first "U.S. Black Engineer of the Year" award in 1987. He is the founding editor of the international journal Computers & Electrical Engineering. Dr. Slaughter is a fellow of the Institute of Electrical and Electronic Engineers, the American Association for the Advancement of Science, and the American Academy of Arts and Sciences. In 2004, Science Spectrum Magazine and Career Communications Group, Inc. selected Dr. 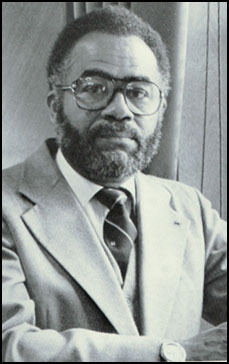 Slaughter as one of the 50 Most Important Blacks in Research Science. In preparation of this web page, had help from Roger Guibinga.